Office Hours – Monday – Friday 8:00 a.m. – 5:00 p.m.
Office Hours - Monday - Friday 8:00 a.m. - 5:00 p.m.
Hello and thank you for visiting the City Manager's Office. The Office of City Manager is dedicated to providing a variety of services to the public, City Council and staff. We remain committed to being responsive to serving the needs of our community. With a population of nearly 5,000, swelling to a daytime population estimated at approximately 20,000, I believe you will come to see and agree with me that the City of Jonesboro possesses a dynamic business environment while maintaining its friendly and unique small-town character. As your City Administrator, I am committed to doing what it takes to foster a favorable economic climate and ensure prompt and courteous service by the city so that out City may continue to grow, flourish and become an integral part of Historic Jonesboro. My staff is willing and equipped to help you and your business with any problems or issues that may arise pertaining to the services we offer, from sanitation to permits, licensing and more. In addition, I am always interested in your input. To help you become more vested with our City and its’ happenings, we ask that you browse our website (www.jonesboroga.com) and sign up for our e-notifications service. The City Manager is responsible for coordinating, administering and supervising all decisions, regulations and polices of Mayor & Council. In addition, the City Manager develops operational objectives, policies and programs necessary for sound conduct of administrative operations. The City Manager's Office is the custodian of all City records. The City Manager prepares all agendas. The City Manager authenticates by signature and serves as the custodian of Minutes, Resolutions, Ordinances and other official documents. The City Manager also handles all requests under the Georgia Open Records Act. 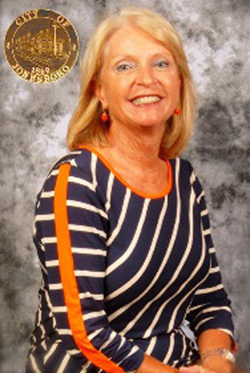 The City Manager serves as Superintendent of Elections for all City elections. The office of City Manager also serves as the Personnel Administration Office to include the responsibilities of employee recruitment, workers compensation & employment benefits administration. The City Manager oversees the preparation of business licenses, alcohol licenses, and oversees activities of account receivables, accounts payables, payroll and other tasks. In addition, the City Manager serves as the Executive Director of the Jonesboro Downtown Development Authority. Ricky L. Clark, Jr. was appointed by the Mayor and City Council as City Manager to ensure the efficient day-to-day operations of the City. His current responsibilities include working closely with municipal departments and staff to ensure that policies and procedures are performed efficiently and economically, preparing the annual budget, promoting a positive image of the City, coordinating community relations and presenting his office as one with an "open door" attitude to the citizens and visitors of the City. A native of Griffin, Georgia, Ricky is no stranger to executive level governmental management. Ricky has worked in government since the age of 18. Ricky has served as Assistant to the County Manager of Spalding County, County Clerk & similar roles in Union City. Only a few years into his tenure with the City of Jonesboro, Ricky has made his mark! During this tenure, Ricky has completely redesigned the City's website, created branding/marketing collateral for the City, overhauled old codes, policies and procedures to ensure efficient operations and has been the planner of the great events in which you are seeing around the City of Jonesboro. In addition, Ricky kicked off quarterly business breakfast in which all business owners within the City of Jonesboro are educated on the community, services and other relevant matters to ensure the growth of businesses. 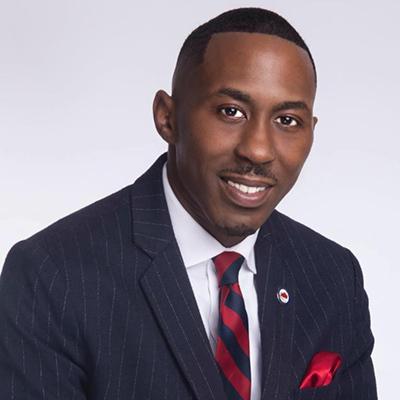 Ricky's grant submittal to the Atlanta Regional Commission, resulted in an $80,000 Major Study to revitalize the central business district of Jonesboro. Ricky is also the Executive Director of the Jonesboro Downtown Development Authority & the Main Street Advisory Board. Ricky is a proud member of the Lake Spivey Rotary Club, National Forum of Black Public Administrators, Georgia's Downtown Development Authority, International City/County Management Association, Georgia Local Government Personnel Association, Georgia Association of Business Tax Officials, House of Dawn Board of Directors & the Mosamo College Preparatory Academy Founding Board. Ricky also serves on various other committees & authorities. Ricky is the Minister of Music at the Faith United Methodist Church in Griffin, Georgia where he has served for many years. Ricky is also a Board Member for the Development Authority of Clayton County. Throughout his career, Ricky has received several prestigious awards. Most recently, Ricky was awarded the 40 under 40 award from the Atlanta Business Chronicle which highlights those under the age of 40 that have made significant career achievements and have demonstrated social responsibility. 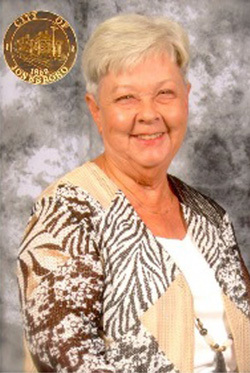 Additionally, Clark has served as the Vice President of the Georgia County Clerks Association. Please contact the City Manager if I can ever be of any assistance to you.